In the peak of my Olympic canoeing career when I was training at NOC for international whitewater slalom racing, the LAST sport I ever imagined I'd take up was running. But somehow I stumbled into running. Then, the last thing I ever thought I would do is run a marathon. But somehow, I stumbled into running a marathon. With six marathons behind me, the last thing I EVER thought I would do is run up a steep mountain, then down, crawl through the mud, and cross a river—all within the same 5K. But somehow, I did this too. Welcome to NOC’s Merrell Adventure Dash, the most challenging and rewarding 5K running event I've ever done. 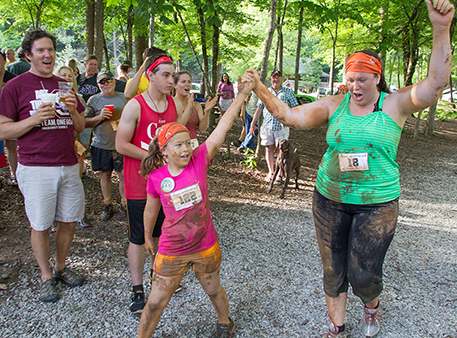 This Saturday, May 23rd, the 2015 Merrell Adventure Dash returns bigger and better than ever. It's become my favorite single event that we host at NOC. 1) Big challenge: Staying healthy and sharp is all about pushing yourself to do things you never imagined you would be doing with your friends and family. You never thought you’d be doing this. Accept the challenge and go! 2) Great story to tell: When you go back to work or school on Tuesday after the holiday weekend, what story do you want to tell? 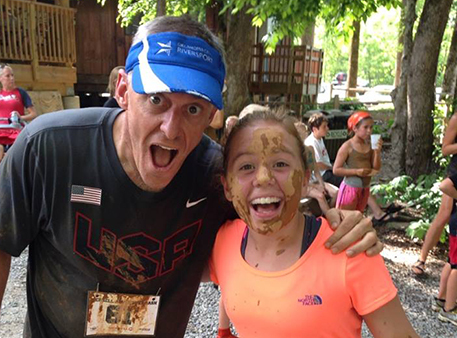 The Merrell Adventure Dash will give you one of your very best! 3) Playing in the mud is more fun than you think: After running a few marathons, I have to admit I didn't really understand the appeal of crawling through mud while running. But, I get it now. Not only does it awaken the senses, it's a ton of fun. 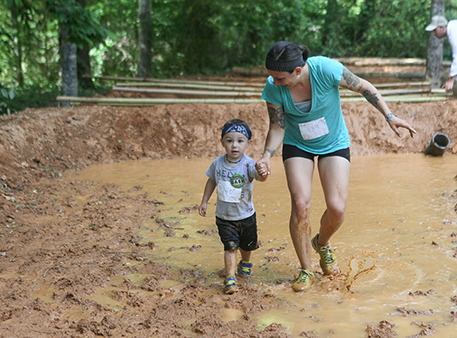 Throwing yourself into the mud has a way of bringing racers closer together. Not to mention… you’ll get some great Facebook photos. 4) See parts of NOC you didn't expect to see: We all know the iconic points of NOC—Founder's Bridge, the Outfitter's Store and River's End to name a few. 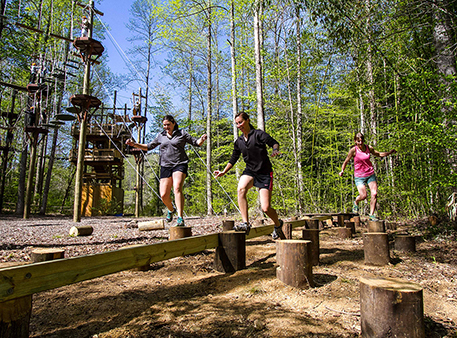 The Adventure Dash takes you to the top of Flint Ridge, around the ropes course and below Big Wesser Falls, all beautiful areas that remind me what a special campus we have in Wesser. 5) You'll know you worked harder than those kayakers: Of course NOC is known around the world for its kayaking program and its Olympic story in whitewater slalom racing (22 Olympians!) Do the Merrell Adventure Dash and I promise you, you will have worked harder than all of them that day! 6) Pride: You think you'll be proud of yourself? Wait until you see your kid finish. YES, it’s a kid-friendly event! Hint: Kids manage fear much better than adults do. 7) People will cheer for you like they mean it: The cheering is sincere. We all need more sincere cheering in our lives. Bonus reason for signing up for the Merrell Adventure Dash: You'll still have Sunday and Monday to have more fun at NOC. Don't overthink this one. Sign up and join me for the one of the coolest events on one of the best weekends of the year at NOC. I look forward to seeing you on the start-line. Register today!